Try it out today - for free! Are you spending too much time creating and following up on proposals? There’s a better way, designed to save time and increase efficiency. Preparing quotes and proposals is at the heart of selling insurance, and your success depends on your ability to deliver accurate quotes in a timely manner. Our quote and enroll software tool, ePro, enables agencies and brokerages to deliver more value to their customers—in less time. 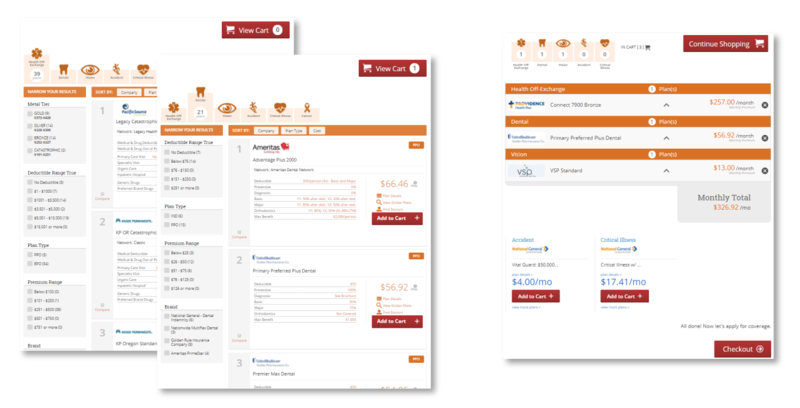 You can compare pricing and plans across different providers and complete enrollment, all in one place. Less time spent on proposals means that you’ll have more time to focus on the things that matter, like increasing sales and growing your business. Plus, the software can be easily integrated into any website. For instant access to a free trial, fill out the form! "Quotit’s comprehensive plan selection, data reliability, and fair pricing have helped us grow, it’s a significant advantage for us to have them working behind the scenes." "Quotit gives me everything I need to get the job done. With all the carriers and plans they offer as well as the technology features they provide, my clients can find everything they need when they’re on my website."